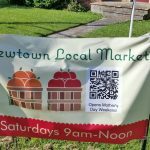 Family owned and operated farm market offering seasonal produce and pick-your-own strawberries and pumpkins. 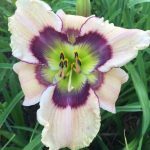 Field grown daylily farm offering numerous varieties for sale. Open by appointment. 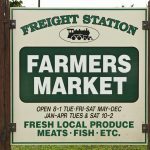 Year-round farmers market with fresh produce, meats, fish, flowers, plants, and local products. This working dairy farm offers educational tours and a farm stay experience at Herds Inn, a log cabin located on the property. 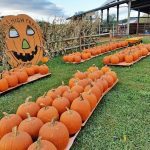 Seasonal pumpkin patch, hayrides, corn maze, haunted house, and more. 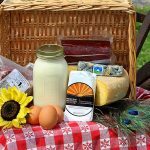 Fun-on-the-farm experience including wagon rides, playground, picnic areas, pick-your-own produce, and bakery. 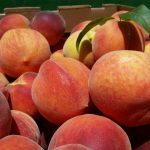 Seasonal market offering produce, baked goods, and crafts local to the Stephens City area. 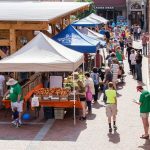 Located in the Taylor Pavilion, just off the Loudoun Street Mall, the market offers fresh, local food and agricultural products directly from farmers and producers to residents. 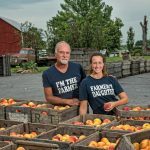 Oldest “country classic” open air farm market in the county, located on the Richard’s fifth generation family farm (est. 1878). Offering beef, vegetables, fruit, fresh baked desserts, wine, and pick-your-own flowers. 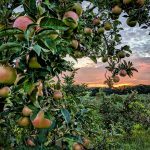 Enjoy fresh-pressed, flash-pasteurized apple cider and apple butter, and select a variety of apples in a gorgeous orchard setting! 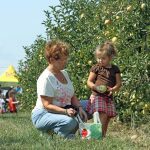 Find out why pick-your-own apples is a favorite activity in Frederick County. Open seasonally.